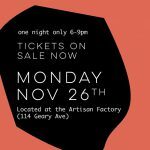 Here at the Artisan Factory we love food and we’re thrilled to announce this amazing event taking place at the Artisan Factory on Monday, November 26th, 2019. This event will not only satisfy your sweat tooth but will also satisfy the generous giving spirit and just in time for the holiday season. Grab your tickets and come have fun at this feel-good event of the season! Full details of the event as posted by Roselle is below. 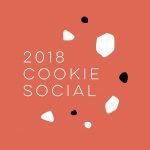 “Time for another social ….. We’re going big this time, inviting 19 of our talented Pastry Chef friends, each of whom will be contributing their favourite homemade cookies. The Social will be held a beautiful corner space in the Artisan Factory on Geary Avenue. 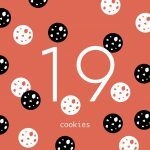 With your ticket, you will get so many wonderful perks: to mingle with other cookie lovers, the pastry chefs, enjoy live music from Bex and The Disappointment, munch on some light savoury bites. 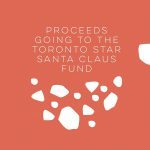 Most importantly, you will be supporting a worthy cause: The Toronto Star Santa Claus Fund, which helps ensure that underprivileged children receive the gift of holiday cheer. We’ve also collected many generous donations from amazing local businesses we admire. 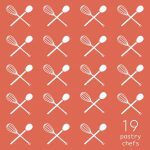 We will be raffling curated baskets of locally-produced goods from companies such as De Mello Coffee, Sloane Tea, Parallel Brothers, William Ceramics, Pokeh, Merit Brewing, Revue CInema and treats donated by our wonderful participating Chefs. This event is one-night only! Please don’t miss out your chance to be a part of our wonderful cause and to stuff yourself silly with the best cookies in the city.